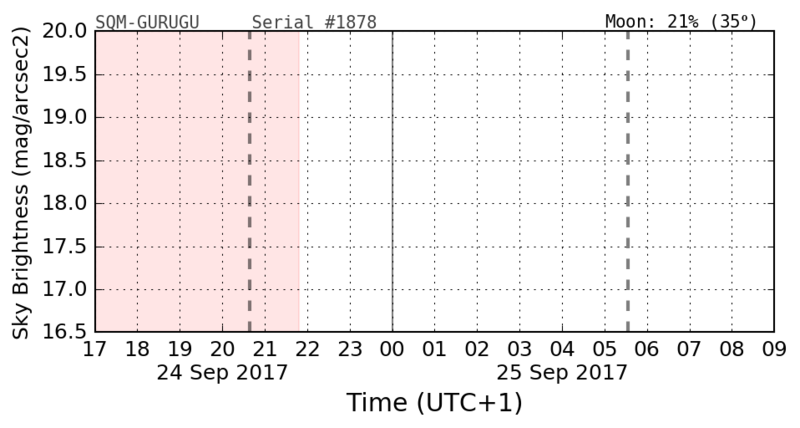 Last night sky brightness data obtained with SQM photometers near Madrid. Do you want to contribute ? Contact J. Zamorano and join us. More info and some results can be read at the poster presented at the IAU2015.